Sometimes you might download or add too much music on your new iPhone 8/X which ends up taking too much of your space or even lack space for storing other media content. Different times you might just not like certain songs anymore. Other people might want to overhaul their entire music library to get new songs collection on their iPhone. Whatever your reason for wanting to delete music from your iPhone 8/X iOS 12 is this article shares simple methods through which you can remove music from your iDevice so read on. iMyFone TunesMate is a third-party iPhone music manager utility that is recommended and used by millions of iPhone users all around the world. It can easily help you preview and delete select files that you want to get rid of from your iPhone and even remove your entire music library for totally free. It also allows you add or even export music easily from your iPhone without having to open the iTunes application thus overcoming most iTunes restrictions. Shares easily iTunes libraries to an unlimited number of iDevices without erasing any old data to enrich your music collection. Backs up iOS data on your computer which you can restore on any of your idevices thus safeguarding your media content in case your iPhone 8/X got damaged or lost. 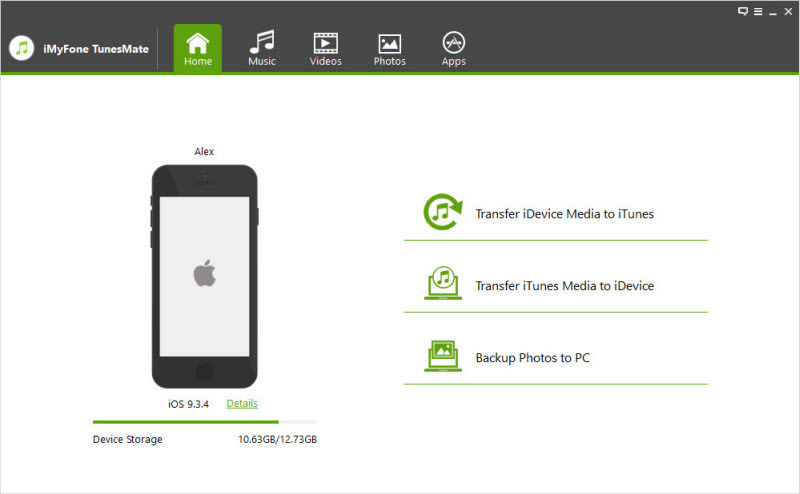 Has a two-way transfer feature that allows you to transfer media content from your iPhone to computer and vice versa. Supports almost all types media types including music, movies, playlists, podcasts, audiobooks, TV shows and much more media files freely. Allows you to share purchased songs from Apple Store with friends and family, and even songs purchased from other online sites. Step 1:	Open the iMyFone TunesMate application on your PC or Mac. If you do not have it already, download and install the free trial version and then run it. Step 2:	Connect your iPhone 8/X via a USB cable. Step 3:	Choose the music icon from the top menu to go to the music window by default. 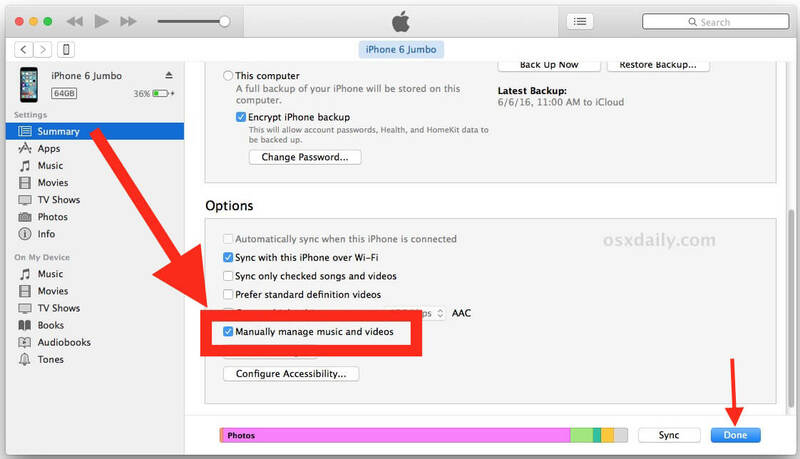 Step 4:	TunesMate will present all the music on your iPhone in a list. Select the songs that you wish to delete or that you do not require anymore and then click on “Delete” button at the top bar. Step 1: Install or update your iTunes to the latest version. Step 2: Launch the iTunes application on your computer and then connect your iPhone 8/X via a USB cable. Step 3: Wait for iTunes to recognize your iPhone and then click on the iPhone icon after it shows. Step 5: Once you do that go to the “Music” tab on the left side menu. 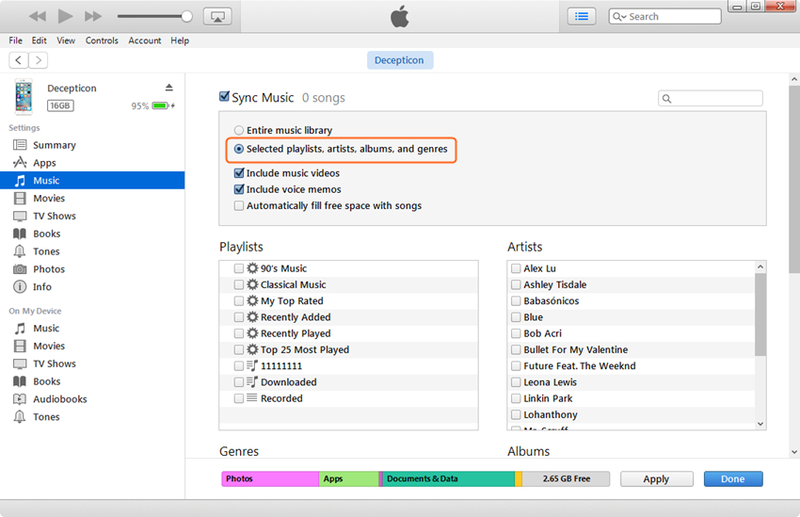 Step 6: Check box next to “Sync Music” and “Select playlists, artists, albums and genres”, then be sure that nothing is selected ( It should show "0 songs" next to Sync Music ), and click the “Apply” button at the right bottom. Step 7: Once the process finishes all the music files, your songs will be deleted from your iPhone 8/X. -	It is a very inconvenient and hard to use way as one does not directly choose the files to delete, a con that might make one remove music that you did not wish to. -	It erases everything in your library especially if it is the first time you are connecting your iPhone 8/X which is very annoying. -	Supports syncing of music up to a maximum of five devices. Step 1: Launch the music app on your iPhone 8/X iOS 12. Step 2: Find the songs that you want to delete snd tap on it until a pop-up window shows up. 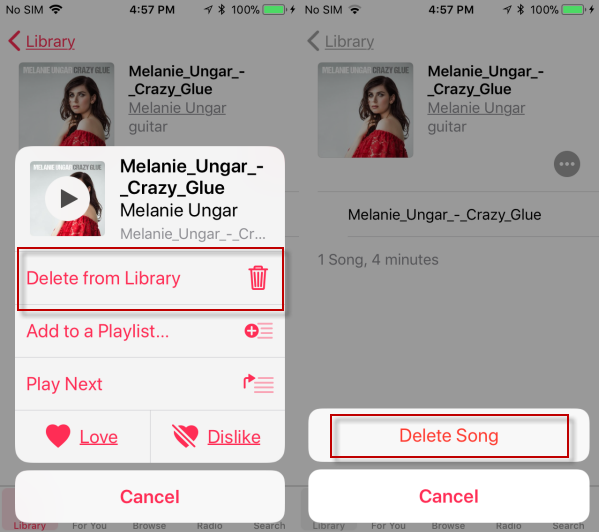 Step 3: Choose the “Delete from Library” option then "Delete Song" which will completely erase the song from your iPhone. -	It does not support deletion of songs in bulk and one need to delete songs one by one which it time consuming and tiring. How to Erase Music from iPhone? 5 Recommended Methods!